Want to give your wash an incredible boost? 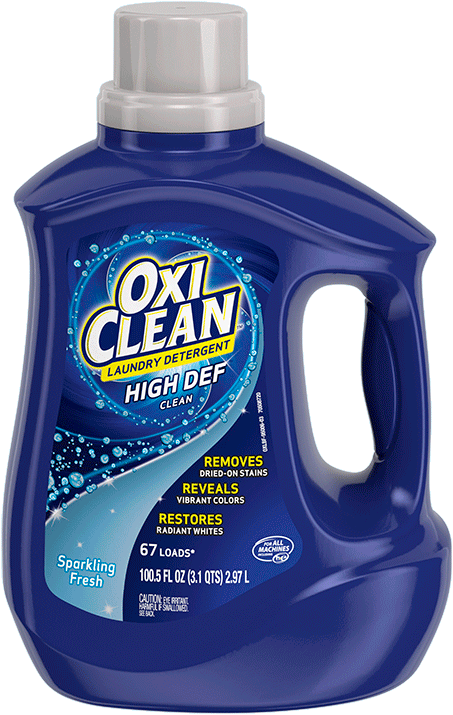 Toss an OxiClean™ 2in1 Stain Fighter Pak into every load along with your detergent. 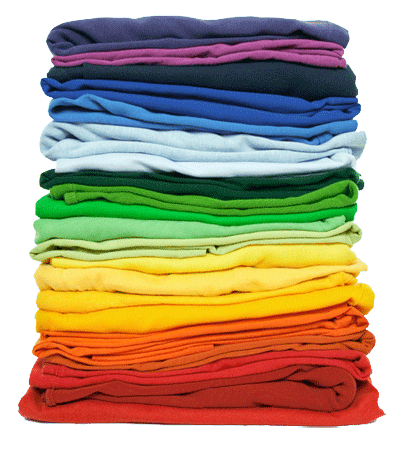 Each contains active oxygen power to reach deep into fabric fibers and quickly, safely break up and remove stains. And the built-in optical brightener brings whites and colors back to life! • Paks are easy to use—no measuring, no mess! Fight stains, whiten whites and brighten colors! Make sure no stain gets past you! 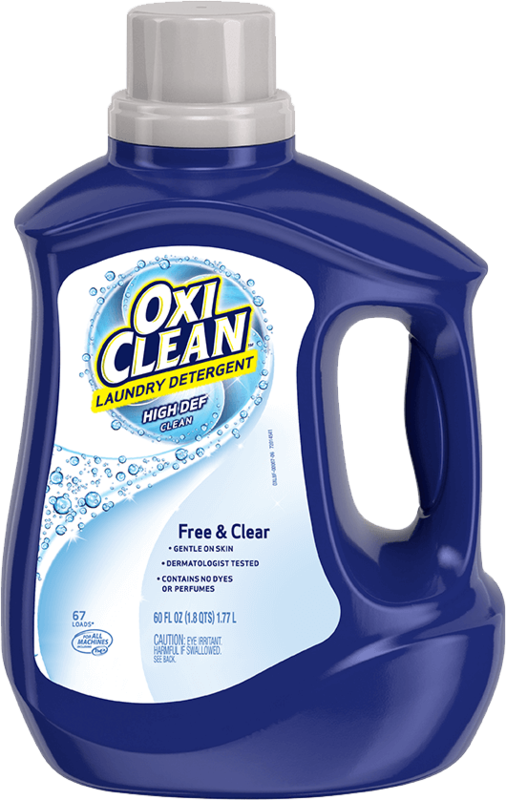 OxiClean™ 2in1 Stain Fighter with Color Safe Brightening Paks add extra stain fighting abilities to your wash, without the worry of fading the clothes you love best. Its optical brighteners are designed to transform UV light waves to make whites look even whiter. And the paks are simple to use! Now you can boost your detergent’s cleaning power, keep your favorite colors from fading and remove tough stains. Drop a pak into every wash load, or dissolve a pak to pre-soak stains before washing. Handle Paks with dry hands. Do not use for hand washing or pre-treating. Do not unwrap or cut open Paks. Paks will dissolve quickly on contact with water. Pre-soak to remove extra tough stains and bring whites & colors to life! 1. Add 1 POWER PAK to 1 gallon of the warmest water allowable for your fabric (see garment care instructions). Do not open the Paks. 2. Mix well to dissolve the pak and add item. 4. Wash as usual with detergent. How did OxiClean™ 2in1 Stain Fighter Paks work for you? 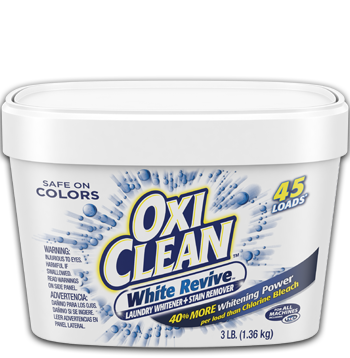 Can I use OxiClean™ 2in1 Stain Fighter with Color Safe Brightener Power Paks with chlorine bleach? 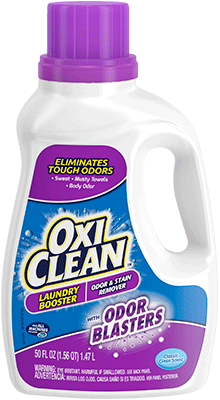 OxiClean™ 2in1 Stain Fighter with Color Safe Brightener Power Paks are not designed to be used with chlorine bleach. They should be used in conjunction with your favorite detergent. Can I use OxiClean™ 2in1 Stain Fighter with Color Safe Brightener Power Paks as a laundry detergent? No, OxiClean™ 2in1 Stain Fighter with Color Safe Brightener Power Paks are designed to be added WITH detergent to boost your detergent's cleaning power. 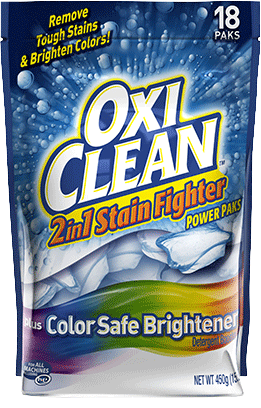 Do OxiClean™ 2in1 Stain Fighter with Color Safe Brightener Power Paks contain bleach? 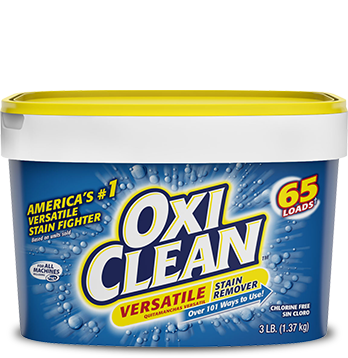 OxiClean™ 2in1 Stain Fighter with Color Safe Brightener Power Paks contain oxygen which breaks down bleach sensitive stains similar to chlorine bleach but is safe for use with color fabrics; always follow manufacturer’s cleaning instructions for item. 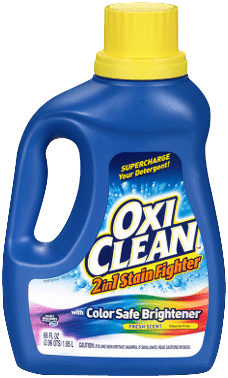 How do I know the OxiClean™ 2in1 Stain Fighter with Color Safe Brightener Power Paks will dissolve? 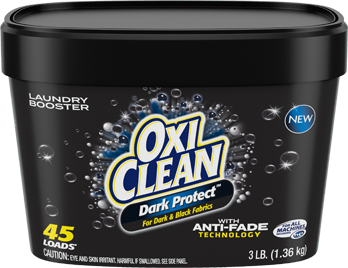 OxiClean™ 2in1 Stain Fighter with Color Safe Brightener Power Paks are designed to dissolve and release oxygen power on contact with water. Just toss a pack into the washer along with your detergent, while filling. For HE machines, toss the pack into the drum then add your laundry. 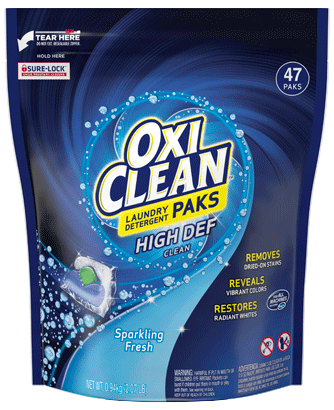 Do I need to unwrap or cut the OxiClean™ 2in1 Stain Fighter with Color Safe Brightener Power Paks open to use them? No, do not unwrap or cut paks. 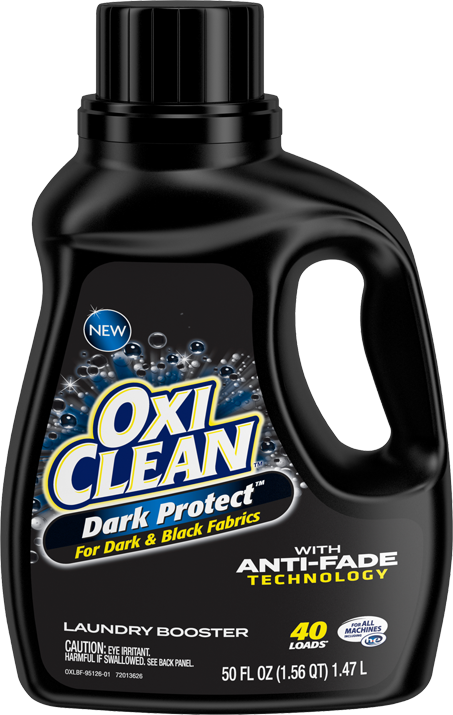 OxiClean™ 2in1 Stain Fighter with Color Safe Brightener Power Paks are designed to dissolve and release oxygen power on contact with water. Just toss a pak into the washer, along with your detergent, while filling. 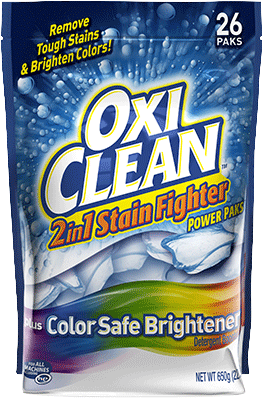 Are OxiClean™ 2in1 Stain Fighter with Color Safe Brightener Power Paks safe for colors and whites? Yes, OxiClean™ 2in1 Stain Fighter with Color Safe Brightener Power Paks are designed to whiten whites and brighten colors. Always follow manufacturer’s instructions for the item being cleaned.